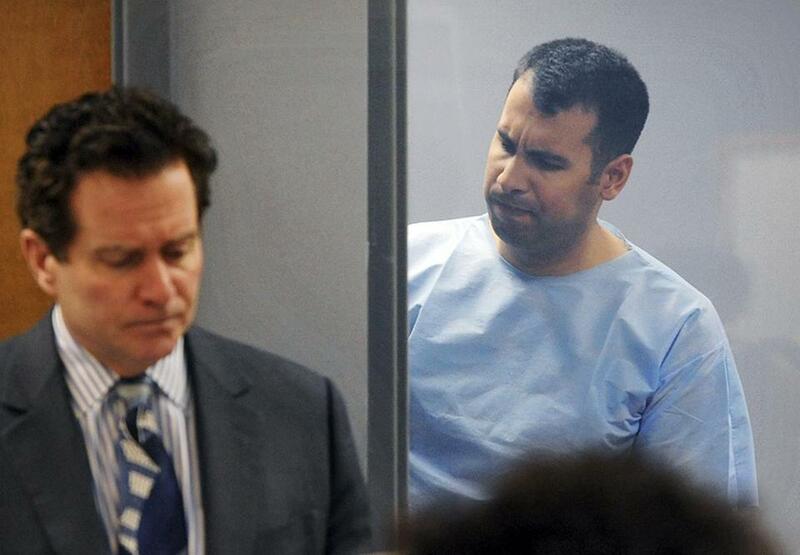 The two women were victims of an armed home invasion allegedly carried out by Adrian Loya (right), a 31-year-old Coast Guardsman. From a young age, Lisa Trubnikova was fearless, filled with a restless energy that wouldn’t let her stay still. She would play for hours, running fast and climbing high, always searching for the next challenge, her older brother said. She went on to join the Coast Guard, which took her to Alaska and Cape Cod. On Thursday, Coast Guard officers came to tell the family that Petty Officer Trubnikova, 31, had been killed, allegedly gunned down in a coldly executed attack by a fellow guardsman who, relatives said, was “fixated” on her. Authorities say Adrian Loya, 31, of Virginia, entered the Bourne home Lisa shared with her wife, Anna Trubnikova, and shot them both. Anna Trubnikova, also a Coast Guard petty officer, remains hospitalized. Bourne police Officer Jared MacDonald, who was shot in the back in the chaotic scene, also remains hospitalized. One woman was killed and one wounded before the alleged shooter ambushed officers who responded, police said. Lisa Trubnikova’s relatives said that Loya was stationed with the two women in Alaska several years ago, and became infatuated with Lisa. After the couple moved to the Cape, he continued to pursue her romantically, although she showed no interest, relatives said. Relatives said they did not believe Lisa Trubnikova had reported his behavior to the Coast Guard, believing she could handle the situation on her own. Authorities have not disclosed a motive, but Cape and Islands District Attorney Michael O’Keefe said Friday there was no evidence to suggest the attacks were hate crimes or acts of domestic violence. He said neither of the women supervised Loya in the Coast Guard. O’Keefe said detectives are poring over computer records they have discovered in Massachusetts and Virginia linked to Loya. Investigators are also looking to see whether Loya had visited Massachusetts before Tuesday, when he checked into a hotel near the condominium complex. “I think there was a significant amount of planning involved,’’ O’Keefe said. Berlanga said the attack was clearly calculated, and that Loya should be held criminally responsible. On Thursday, Loya pleaded not guilty to murder charges and was held without bail. 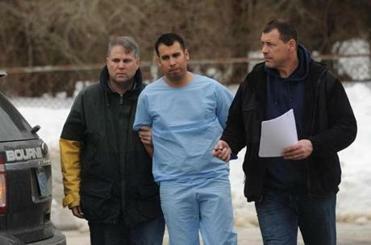 He was ordered to undergo a mental health evaluation. Berlanga said his sister was stationed in Alaska when she began dating Anna Trubnikova, whom she first met at a recruitment office in New Orleans. They were a perfect match, he said. They married in New York a couple of years ago, he said, and moved to Bourne together. Lisa Trubnikova was stationed at Joint Base Cape Cod in Bourne, and Anna Trubnikova was stationed at Woods Hole. Growing up in a Christian family in Texas, Lisa struggled with her identity in high school and was very shy, her brother said. “She held it in,” he said. But after high school, she came out as gay, with her family’s full support. When she met Anna, the family was thrilled. “She wanted to live her life,” he said. Relatives of Anna Trubnikova could not be reached for comment. On her Facebook page, she wrote that she had been an operations specialist in the Coast Guard since September 2010. She had previously worked for the US Postal Service in Washington, D.C., and in 2012 started a photography company while living in Kodiak, Alaska. O’Keefe said that during the attack, which was carried out early Thursday, Loya allegedly was armed with two rifles, both of which fired .223 caliber ammunition, the same as used by the military, and a shotgun. He also had a 9mm pistol. When he was taken into custody, Loya was not near any of the weapons, which were recovered from several locations. He also opened fire on police who rushed to the scene, authorities said, then used a burning car to block the road into the condominium complex. O’Keefe said that despite coming under heavy gunfire, and seeing an officer shot down, police did not return fire. Police used “great restraint’’ in the chaotic situation, keenly aware that many people lived nearby, he said. In a statement, the family of the injured officer thanked the public safety agencies who helped him after he was shot and asked for privacy as he recovers. “Jared has a long road of recovery ahead of him, but is doing well and is in good spirits,’’ they said. Berlanga said his family was devastated by Lisa’s death but took comfort that she had accomplished so much in a short time. She had served her country, traveled, and fallen in love. “She lived a full life,” he said.